Troy, NY - John Mizerock got the call and he didn't immediately know why. 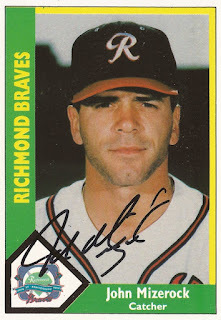 Shortly after arriving at AAA out of spring 1983, Mizerock got called up for his first trip to the majors. 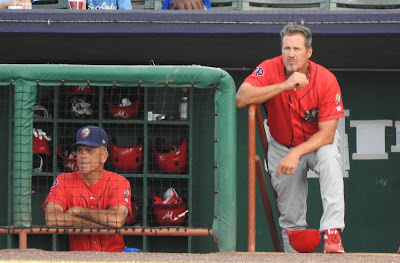 "I think I'd only been in AAA for one day, didn't get any hits and they told me I was going to the big leagues," Mizerock recalled to The Greatest 21 Days, "and I thought, 'this is the greatest deal in the world.'" A few questions later and the catcher knew why he got the call: An injury meant the Astros needed a catcher for knuckleballer Joe Niekro. Mizerock happened to catch Niekro that spring and did OK, he recalled. The team remembered. After playing the entire previous year at AA, Mizerock was on his way to the bigs. "If you play long enough," Mizerock said, "a foul tip, an injury, a little bad luck, good luck - all kinds of things can happen." For Mizerock, enough happened where he saw time in four major league seasons. He also later returned as a major league coach, and briefly as a manager, with the Royals. Mizerock spoke to The Greatest 21 Days in summer 2016 when his visiting Williamsport Crosscutters visited the Tri-City Valley Cats in Troy, NY. 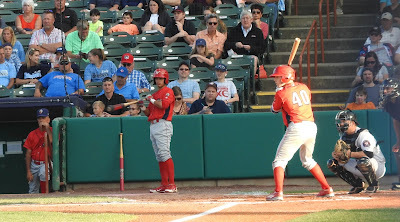 Mizerock grew up playing baseball in Punxsutawney, Pa. He played in high school and on the local America Legion team. He also soon caught the attention of scouts. Talk from college representatives and scouts began his junior year that he'd be drafted. Talk intensified his senior year that he'd be drafted early, he recalled. "Back then, I didn't know any better. I was just playing high school baseball and Legion baseball," Mizerock said. "Heck, I don't even know if I knew what the draft was." He knew it meant pro ball. "It was exciting," Mizerock said. "I mean I knew I wanted to play pro baseball." The Astros gave him his pro opportunity, taking him in the first round of the 1979 draft. "I really went in with my eyes wide open," Mizerock said. "I didn't know what to expect. I just went to play ball." 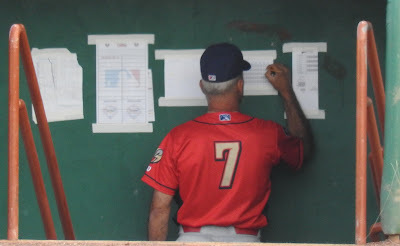 Mizerock started with the Astros at single-A Daytona Beach in the Florida State League. Mizerock recalled the league seemingly filled with college guys. He was 18. "I thought these guys were really good," Mizerock said. "I wasn't sure if I was cut out for it." It turns out, he was cut out for it. Mizerock played at Daytona Beach largely for his first three seasons. He then made AA Columbus for 1982. He then made his jump to Houston for 1983. "It was different," Mizerock said of the jump to the majors. "I'd played in the Florida State League for a couple years and the Southern League and the next thing I knew I was in Dodger Stadium." Mizerock picked up a hit in his first appearance. Overall, he got into 33 games that first year, picking up 13 total hits. He stayed in the majors his first stint through that April 19. He caught the knuckleballer Niekro twice. "You're not going to catch them all," Mizerock said of the knuckleballs, "you just hope to knock most down and do the best you can and see what happens." 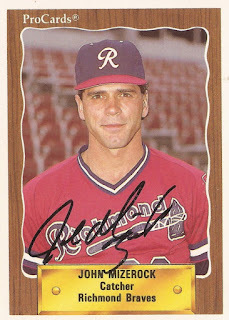 Mizerock returned to the majors in three more seasons, 1985, 1986 and 1989. He never got into more than 44 games in a single season. He also ended with a career batting average of .186, something that Mizerock knew helped limit his big league playing time. "To get to play every day, you've got to produce," Mizerock said. "It's not like the minor leagues where you're a young guy and they let you keep going because you're trying to get better. It's production and I wasn't very productive. So I don't have any - I did my best. I just wasn't cut out to be a good enough big league hitter." 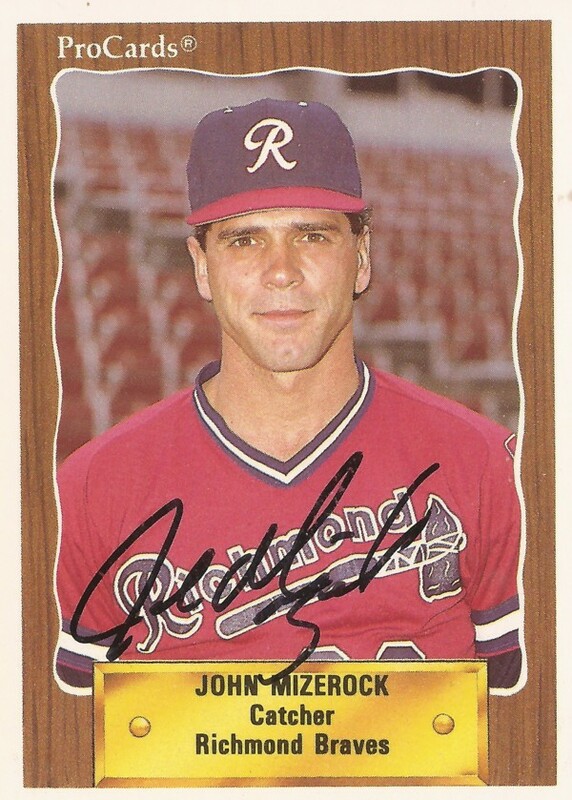 Mizerock finished out his career in 1990, spending that season in the minors. He soon started a new career as a coach. He credited the relationships he built as a player for getting him there. After taking a year off unsure of what to do, Braves pitching coach Leo Mazzone called and suggested coaching. Mazzone knew a guy with the Royals who needed a coach. Mizerock called and got the job. 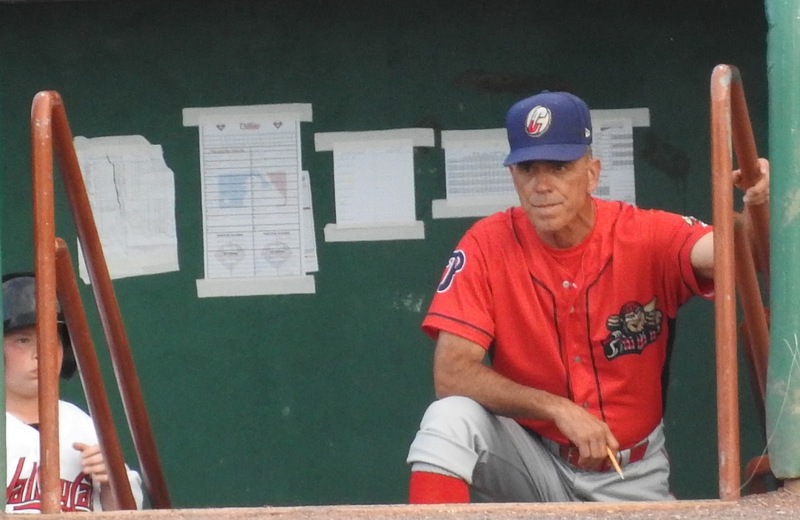 More than a quarter century later, he's still coaching. Mizerock soon became a manager, heading up clubs throughout the Kansas City system. In 2002, he returned to the majors as a coach for the Royals. He also briefly took over the top job after Royals manager Tony Muser got fired. He recalled his time as Royals manager as difficult. "I mean it was nice," Mizerock said. "But when a manager gets fired, it's sort of an ugly situation and I really liked the man that got fired. "I didn't know if I wanted to do it. I felt guilty," he continued. "But they asked me and you don't turn it down." When the Royals hired a full-time replacement, Mizerock continued on with the club as a coach. He then moved on to the Phillies system. 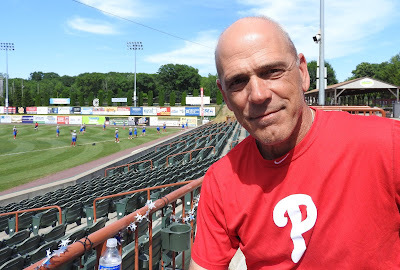 He served as hitting coach for short-season Williamsport for 2016. He's continuing in 2017 as a coach for the Phillies AA Reading. Mizerock said the younger players aren't much for hearing stories from his playing days. Every now and then, though, he'll break some out. "Each guy's concerned about his own career," Mizerock said. "Give him as much attention as he needs and hope it works out for the best."